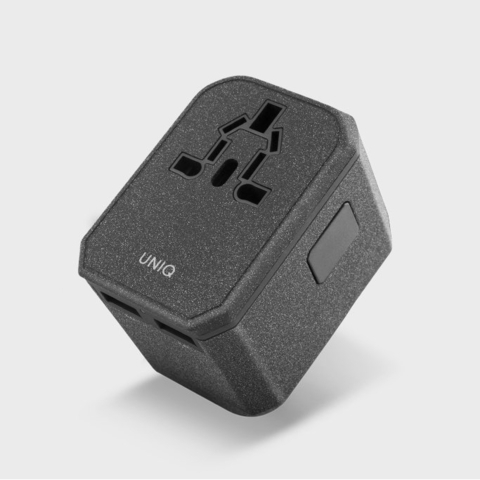 Uniq VoyagePD is a world travel adapter with 2 USB ports and 1 USB-C. Supported in over 150 countries, including America, Australia, Europe, UK, and Asia. Comes with a travel pouch to store product. 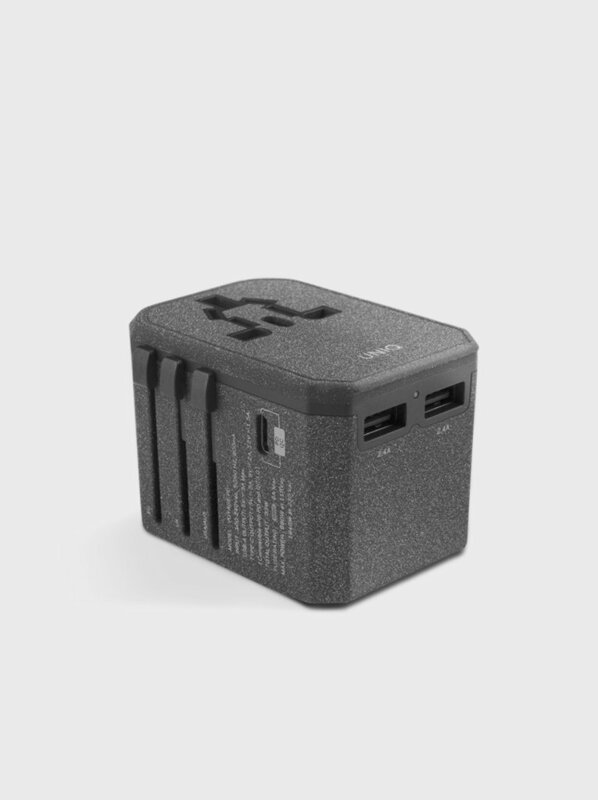 Note: AC-AC Voltage Conversion is not Available. Please note that this adapter only adapts plug and socket types but it does NOT transform the voltage. 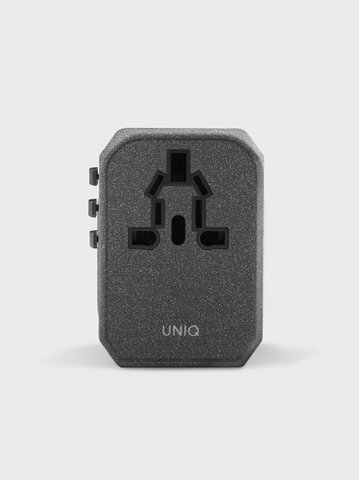 Some devices/appliances accept a wider voltage range while others do not. 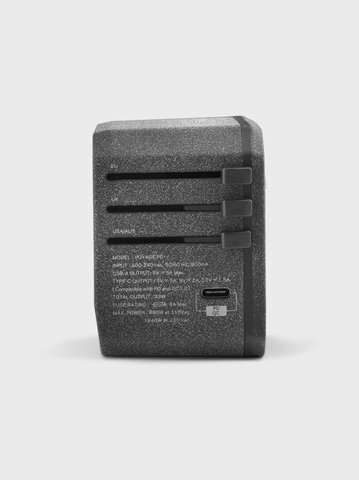 Please read your device/appliances instructions before using them with this adapter. *Charging time is based on Iphone X, 8 and 8 Plus.